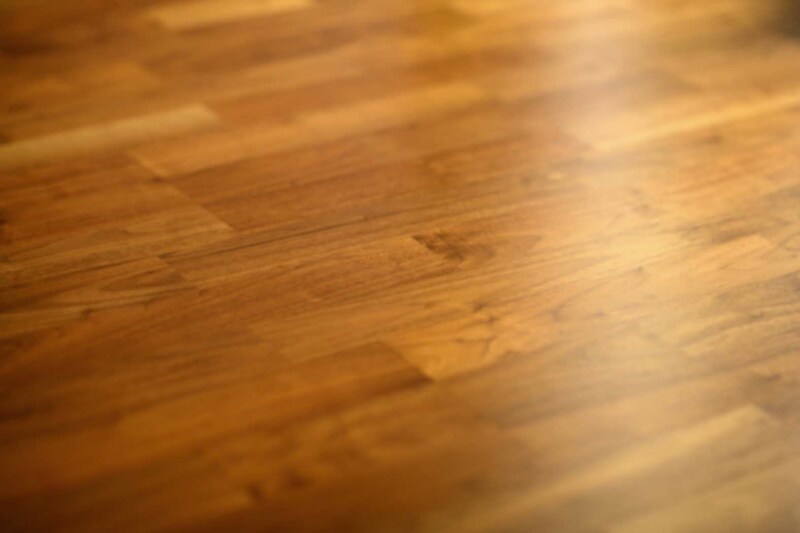 After your hardwood floors have been installed or refinished, be sure to take extra care when cleaning them. Click here for a list of products that are safe to use on your hardwood floors. Shoes, especially high heels, can be a big source of wear and tear. Barefeet are best! Sand and grit will cause excessive wear to your hardwood floors. Clean your new hardwood floors regularly with an untreated dust mop. Placing mats or rugs in high traffic areas, specifically at entry areas from outdoors will help prevent the spread of materials that can scratch your floors. Use felt pads on the bottom of your furniture. Without protection, constant sliding and movement will prematurely wear and scratch your hardwood floors. Keep your shoes in good condition and trim your pet’s claws often. Pet claws and high heels without the rubber cap can be one of the most damaging items to your hardwood floors. Do not wax your floors or clean them with an oil-treated solution. Wax and oils can contaminate your floor and create problems with future coats. Cleaning products from an actual finish manufacturer are the best, such as Glitsa, Bona, or Woodwise. You can also use warm water with a little mild dish soap or vinegar. Be sure to ring the cloth out well to prevent too much moisture on your hardwood floors. To extend the life of your floor you can recoat your floor when initial wear is starting to show, usually about two to three years. This is a shorter process than a complete refinish of your hardwood floors and can keep your floor looking fresh. However, this is not possible if you have used a wax or oil cleaning product on your floors. Hardwood floors are a natural product and will expand and contract with moisture level changes. To reduce the amount of contraction and expansion in your floor you can install a whole house humidifier to help keep the humidity levels constant throughout the year.